In 2008 Gruppo Armani and Molteni Group formed a partnership for the production and distribution of the Armani/Dada collection. Design and comfort, function and elegance. 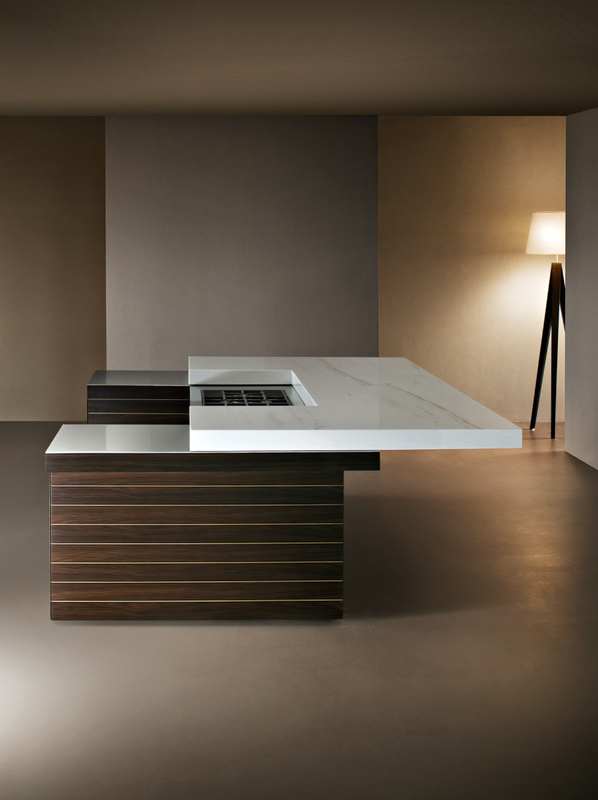 These are the guiding concepts behind the development of the Armani/Dada collection, to express the perfection and excellence of the Armani style to the kitchen. Giorgio Armani’s vision of the home as a private, special place, sophisticated and comfortable at the same time, now comes to the working area of the home. The kitchen is interpreted as a highly practical working space which is also pleasant to the senses, capable of transmitting emotions and atmosphere, just like the living area and bedroom. The concept that inspired Giorgio Armani is the informal yet refined atmosphere of a dinner invitation issued by a chef. Here, the kitchen takes the leading role, a space around which the guests gather. 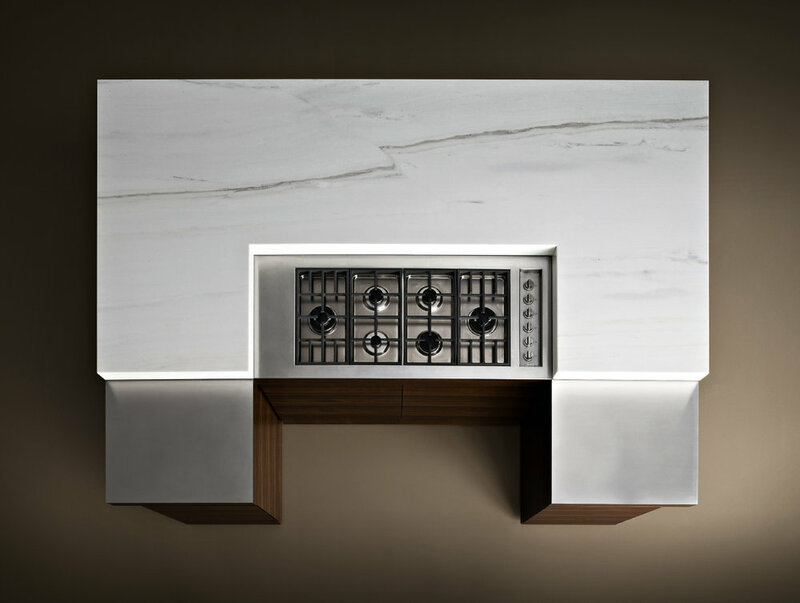 Luxury is viewed from a new perspective with a surprising marble worktop on the island feature, which slides open to reveal the thick stainless steel work area. This project is based on the theme of the open-plan kitchen, conceived for big spaces with large-scale kitchens in linear, corner or wall configurations. This work area of the house is interpreted using formal, sober and essential design language, highlighting the elegance of the composition. 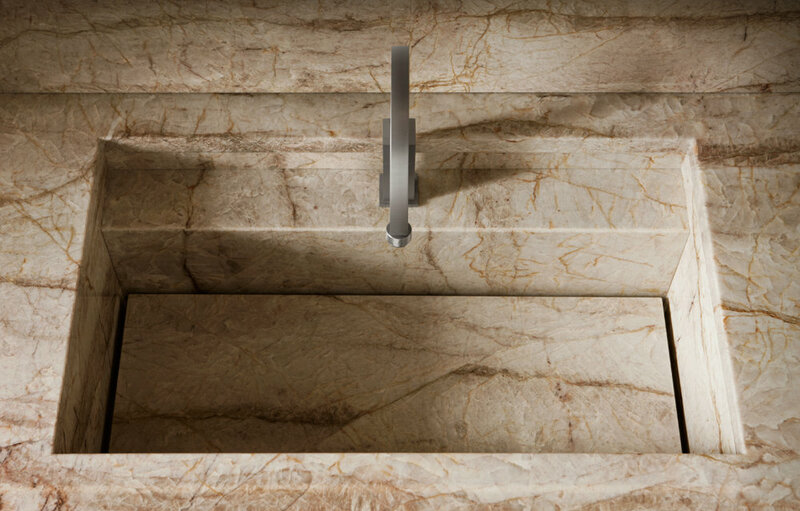 Precious natural woods, exclusive lacquers and textured, multi lined back-painted glass are combined with the natural stone worktop. 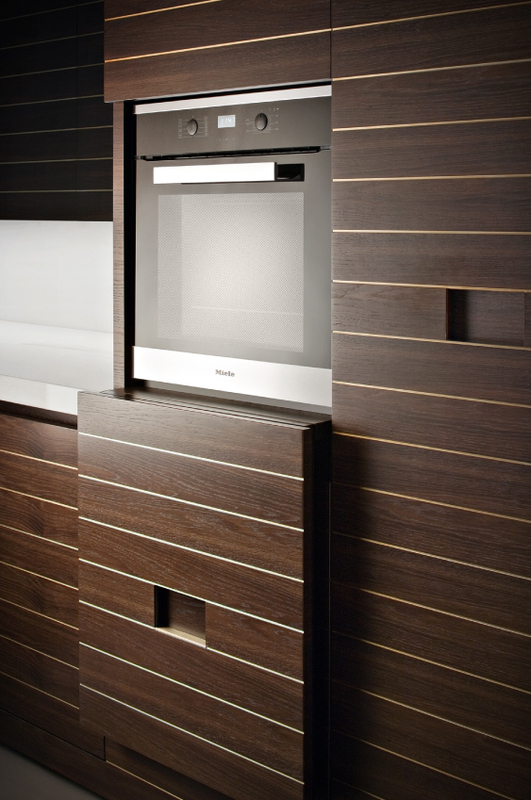 The use of materials enhances the smooth surface of the furniture, giving it a three-dimensional effect, emphasised by the compositional use of LED lighting in the bottom of the wall units and under the worktop.